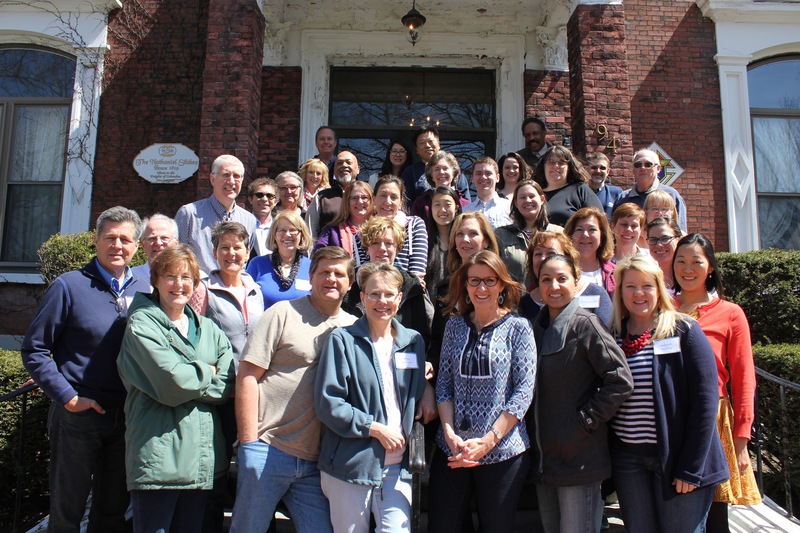 We held our first Old Testament Training Conference in Salem, MA on April 15-16, 2016! 35 lay leaders, teachers, urban missionaries and educators, foreign missionaries, and lay church members from New England, Michigan, and California attended this two-day immersion in the Old Testament, designed to equip them both to understand and to teach it in their local church or ministry context. each Old Testament book, and how they contribute to the redemptive narrative, focusing on the covenants and their theological significance for the Bible as a whole. Attendees were encouraged to practice teaching with the CasketEmpty materials within their discussion groups, and were given key teaching points for each segment of CASKET, and individual OT books. We were encouraged and thrilled to hear many stories of how the CasketEmpty materials are being used in a variety of ministry contexts, including churches, schools, and pastoral ministry training programs in Latin America. 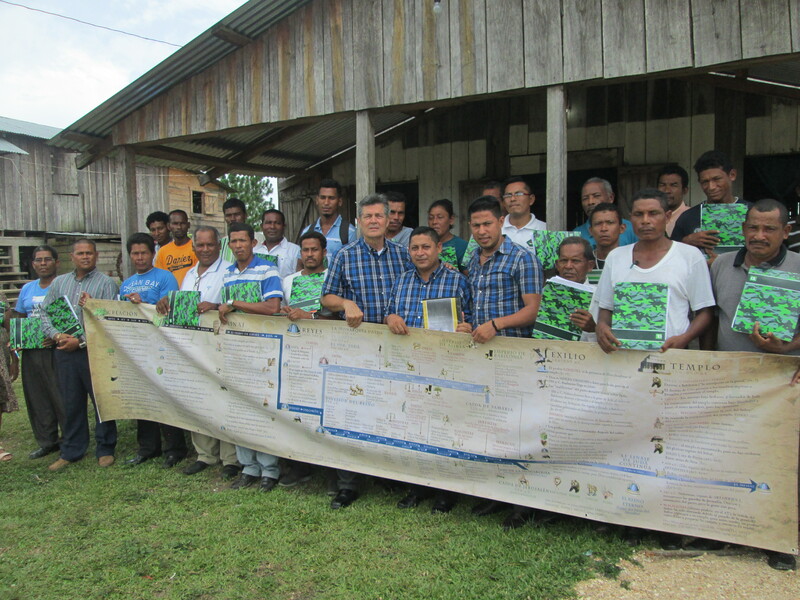 One such testimony comes in a series of emails from Carlos Paz, who traveled to Nicaragua and Honduras to train pastors in the Old Testament in July, utilizing CasketEmpty materials and the training he received during the conference. Carol, I am personally very grateful for your ministry and the impressive CASKET EMPTY OT resource. I am continuing to be fed by your recent teaching in that I am now translating your message to us into my own Spanish notes/outline. And this week I will be into Sinai. I am on pace to cover the whole OT prep as I have a month to go. A week for each period. But what is a great source of blessing to me is how I am spending chunks of time in the Word. With this progress my heart is greatly encouraged as I study, pray for the people who will receiving this teaching, etc. To have such a tool is a true blessing. The people and pastors are going to love this. That being the case, I am so excited about this next journey with my team to eastern Nicaragua and Honduras. Thank you for sharing your testimony and your journey of faith with all of us at the conference. I am excited to think that I could also teach this message in English in this area in the hopefully not too distant future. I leave on June 21st. I will cross into Nicaragua on July 5th; Lord willing, and begin sharing the message with my team on July 6th. 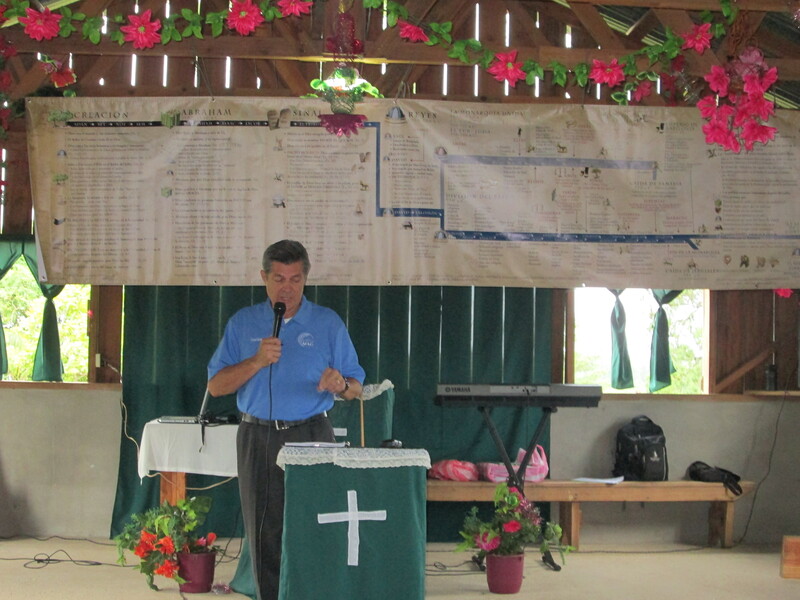 Then back to Honduras six days later to teach the second group of leaders with our team. We will be overjoyed to be sharing the Old Testament in this most exciting manner. Thanks to your generosity and faithfulness over the years in putting CASKET EMPTY together. See how God was leading you? Bless you…my precious sister. We hope to go in the power of the Spirit of God. We have eyes to see and ears to hear, because we have cast aside the idols of this world. And it is our prayer that eve ryone we share this message with will have Spirit of God open their minds and their hearts. As Director of Pastoral Ministries for Missionary Air Group (MAG), I recently enjoyed the privilege of being the first missionary to present the Casket Empty message in Spanish. Joined by two indigenous pastors, we traveled first to the extremely remote region of Waspan, Nicaragua and then to Suhi, Honduras, teaching four days in each location. Approximately 63 pastors and leaders, both men and women, were in attendance at their respective conference sites. 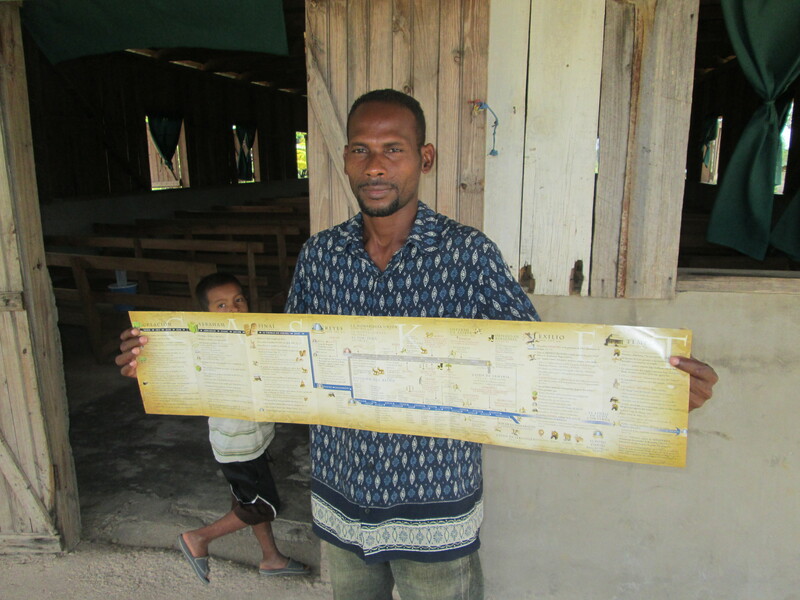 Each participant received their own copy of the OT guide and a complete set of outline sheets in Spanish. They enthusiastically took notes as I taught, and as Esau Nunez and Roman Lopez Chow read key OT passages. These leaders, from poor villages and scarcely trained, were more than excited to learn Biblical concepts and content that made a deep impression in their understanding of the plan of God. I reminded them that Dr. Carol Kaminski and Casket Empty had chosen to partner with them and with MAG to share in this kind of training. The pastors wrote a formal letter of appreciation to us and to MAG, and several pastors and leaders thanked me personally as well. One young pastor fought off tears as he expressed his deep thanks, all while clutching his own copy of the guide. In that precious moment, I was hugely grateful to God for leading us to this ministry. Thank you, Casket Empty. Guatemala City is next in line to receive this same training in March of 2017.